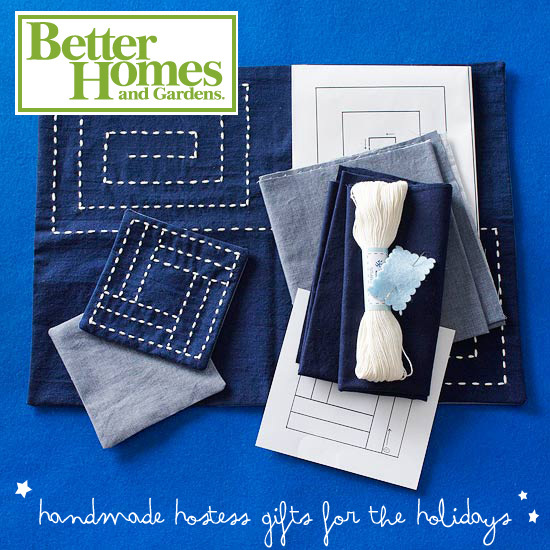 Etsy and Better Homes and Gardens teamed up to create a list of handmade gifts for the holidays, and Saké Puppets’ Tea-for-Two DIY Sashiko Kit was featured in their roundup! I’m delighted and honored to be included! I also love many of the other projects, and am planning to try a few for myself , like the tea set or sewing kit in a jar — so handy! 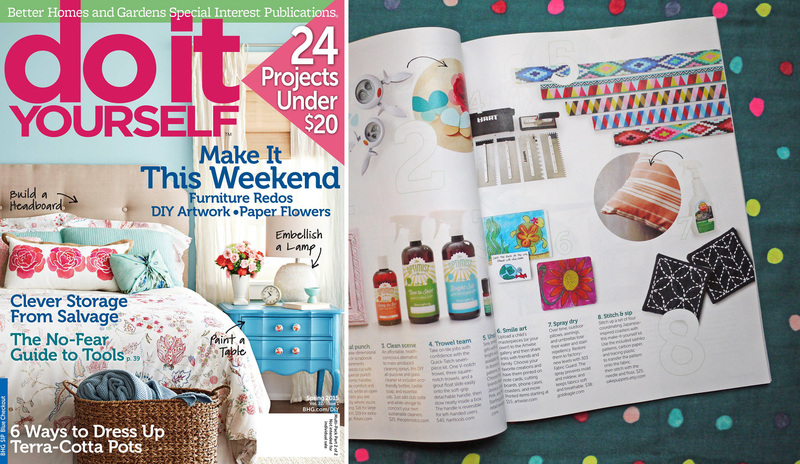 You can find other projects online or in their November issue. Thanks again, BHG!